Since the beginning of 2012, Republicans throughout the country tried to violate the Establishment Clause of the First Amendment of the United States Constitution by pushing religion into public schools. They lumped evolution denialism and global warming denialism into the broad terminology of “scientific controversy” (in case you’re reading, there are no scientific controversies over these theories, just political ones). And those Republicans tried their best to give the children in those states the worst science education ever. Evolution is the foundation of biology, that field of science that is the basis of our health, of medicine, of agriculture, of our environment, and of every living thing on the planet. After the disaster of Tennessee’s science-denying Monkey Bill being signed into law, there has been relatively (and possibly temporary) good news in Oklahoma and Alabama, who did not vote on the anti-science legislation prior to the adjournment of their state legislatures. Of course, they could bring it up again in 2013, but a win is a win. Yesterday, the Missouri legislature also adjourned, and two antievolution bills died in the House Committee on Elementary and Secondary Education before getting a hearing. House Bill 1227 would have permitted teachers “to help students understand, analyze, critique, and review in an objective manner the scientific strengths and scientific weaknesses of the theory of biological and hypotheses of chemical evolution.” House Bill 1227 would have required “the equal treatment of science instruction regarding evolution and intelligent design,” both in public elementary and secondary schools and in “any introductory science course taught at any public institution of higher education” in the state. Again, to be absolutely clear on the point, there are no “scientific weaknesses” in the fact of evolution. 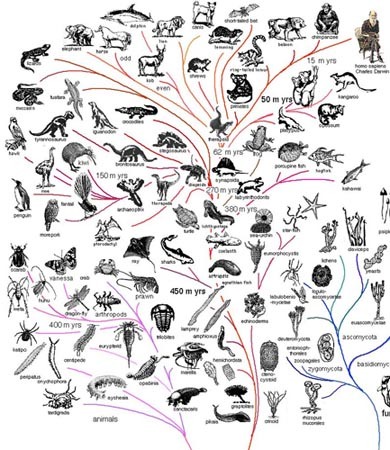 There is some ongoing debate about the mechanisms of evolution, but the basic principle of change in a population of organisms over time by the mechanisms of natural selection and genetic drift is sound and fully accepted by a huge majority (about 99.6%) of scientists. And intelligent design is not science, it is creationism with different clothing. It is pseudoscience. A win, hopefully permanent, for science education. 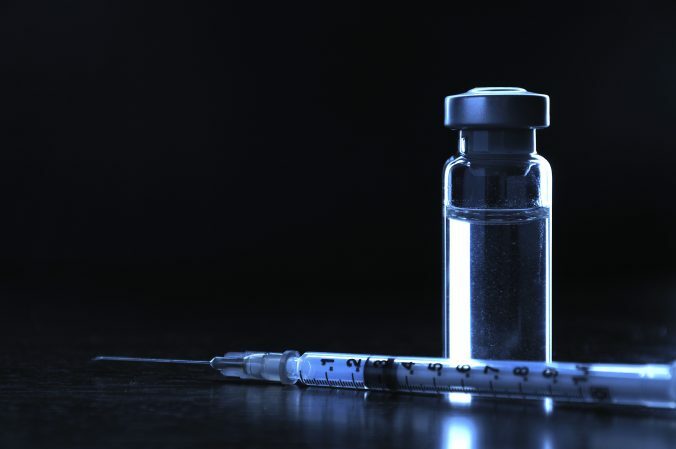 via Antievolution legislation dies in Missouri | NCSE. 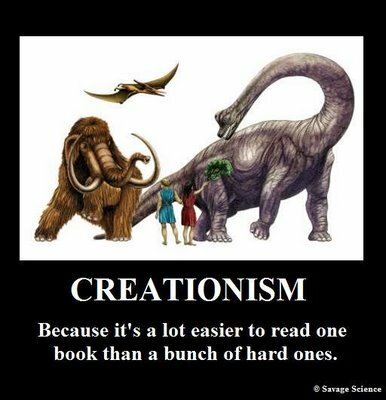 Tennessee Republican Governor Bill Haslam refused to sign or veto HB 368, which protects anti-science teachers who insist on pushing creationism or global warming denialism. By not signing or vetoing the bill, the governor has, legally, allowed it to become law. The bill claims there is a scientific controversy about evolution and climate change, which, of course, is completely untrue. Science accepts the evolutionary basis of biology. It accepts that the planet is warming faster than it should because of human activities. There is only a political debate on these matters. 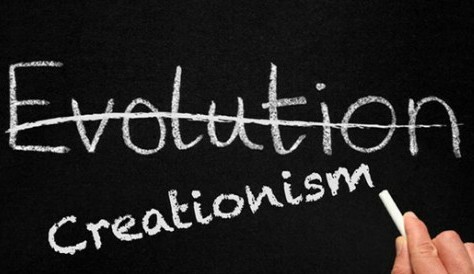 The key provision of this bill is to support creationism, which is a religious belief. 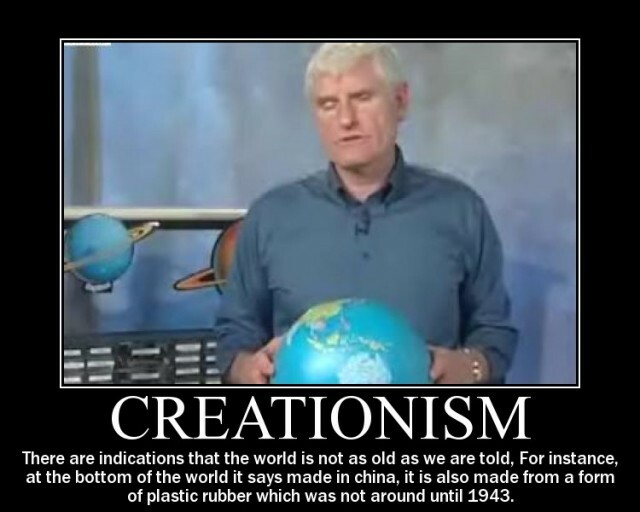 According to the Establishment Clause of the Unite States Constitution, as confirmed by numerous court rulings, creationism is religion, and teaching religion in public schools is not permitted. This is a huge disappointment. 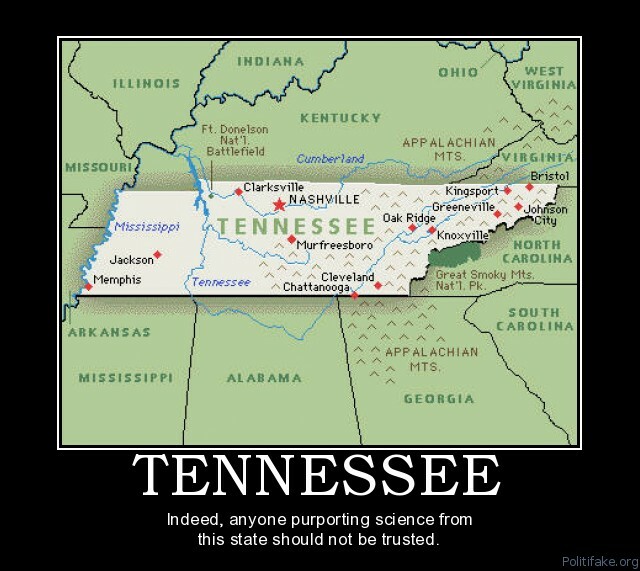 If you care about science, you won’t learn real science in Tennessee public schools. 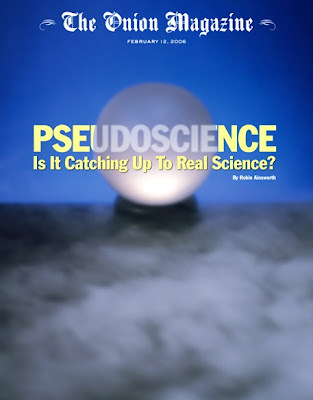 How pseudoscience makes its case-Part 2. Revised and repost. According to the Nashville News, Governor Bill Haslam told reporters that he will probably sign antievolution bill, which allows teachers to discuss the scientific “controversies” regarding the fact of evolution and the fact of climate change. Not to be overly pedantic, there is no scientific controversy over either theory; however, there is a political one. 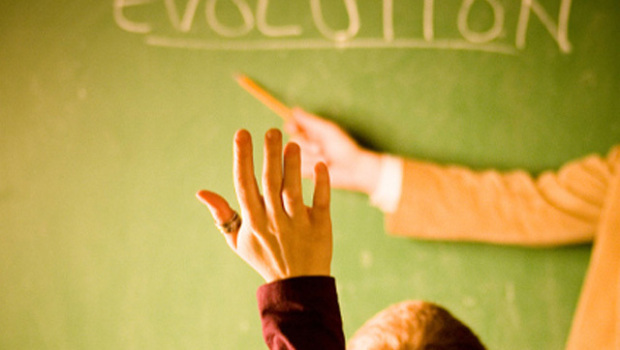 Another problem with the bill is how will a teacher discuss everything there is to know about evolution in a few hours. How can you critically analyze evolution or global warming denialism in just a few minutes? That would be like teaching someone to be a surgeon in a couple of days. It’s almost impossible. Stay tuned. We’ll see if Governor Haslam actually signs the bill. Republicans rarely keep their word, so who knows what will actually happen.